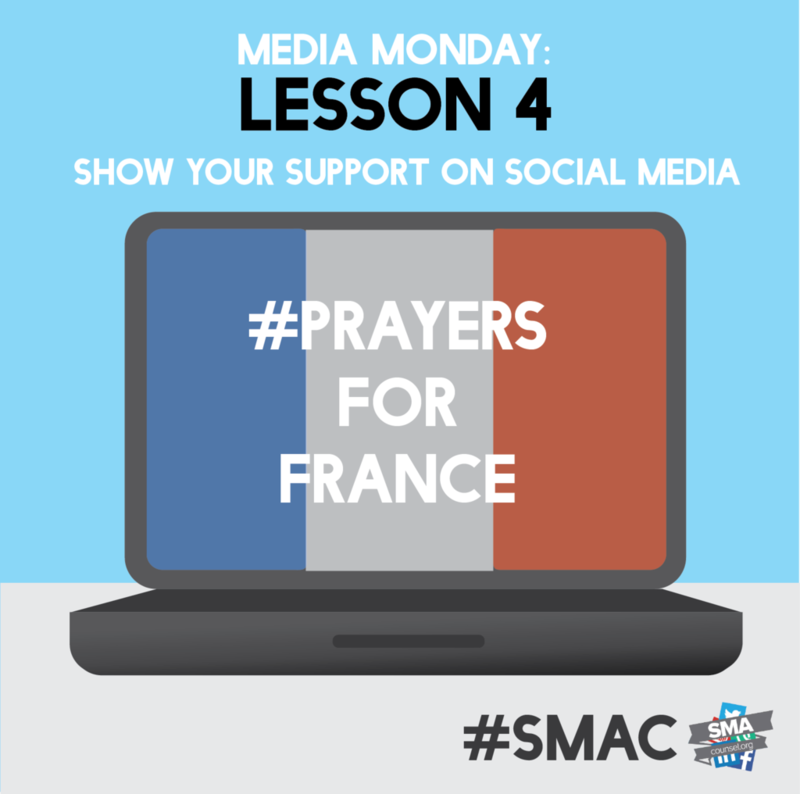 After the devastating attacks on France this past week, it is comforting to know that we can show our support through social media. 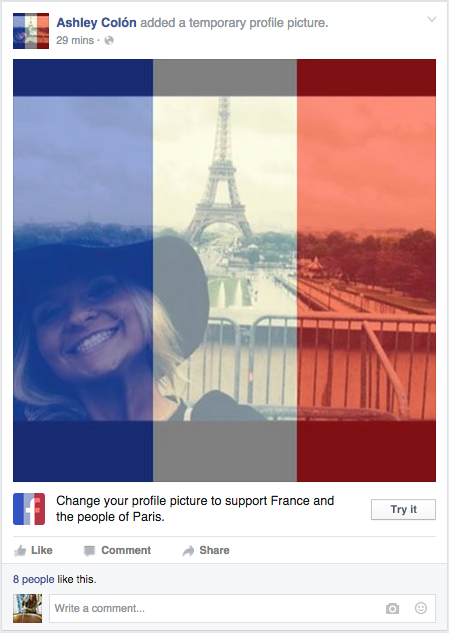 Facebook has launched a campaign that allows it’s users to use the french flag as an overlay for their profile pictures. Log into your Facebook and look for one of your friend’s who has the filter, then click the “Try It” button! 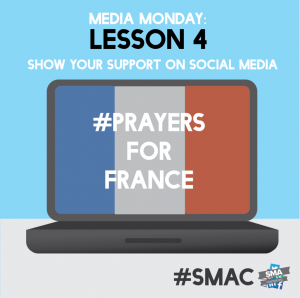 Check out the observer’s article on this social media support campaign. Click for peace and the piece!